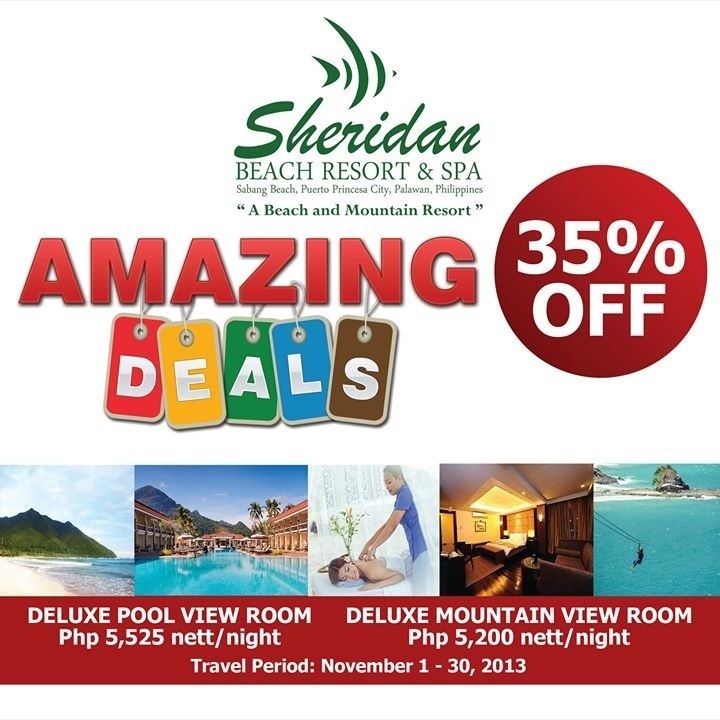 35% Off Amazing Deals in Sheridan Beach Resort and Spa – Extended until December 15! 35% Off Amazing Deals of SHERIDAN BEACH RESORT AND SPA – Extended until December 15! As low as PHP 5200/night for 2 persons already! So hurry, contact us and get a chance to enjoy this amazing deal!